PEACE COVENANT. 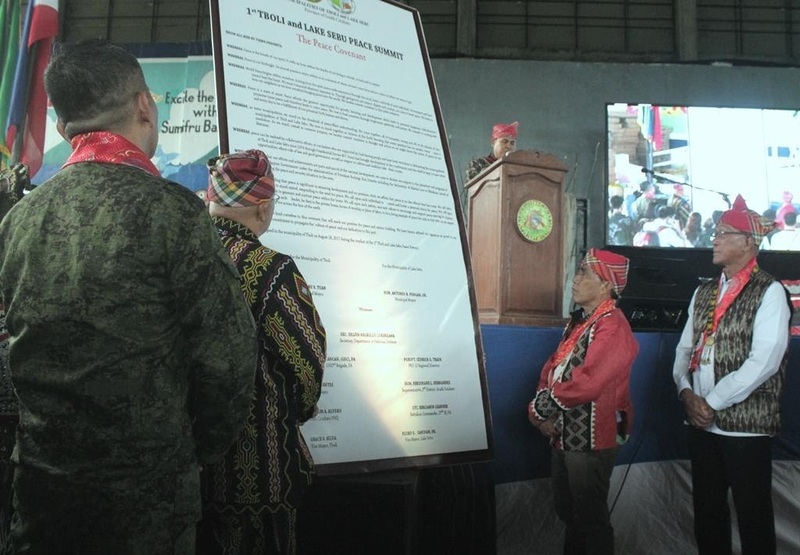 T'boli Mayor Dibu Tuan and Lake Sebu Mayor Antonio Fungan present to Defense Secretary Delfin Lorenzana the peace covenant which calls for tribal leaders, local and barangay officials of T'boli and Lake Sebu towns in South Cotabato to support the peace initiative, war against illegal drugs and criminality launched by President Duterte. 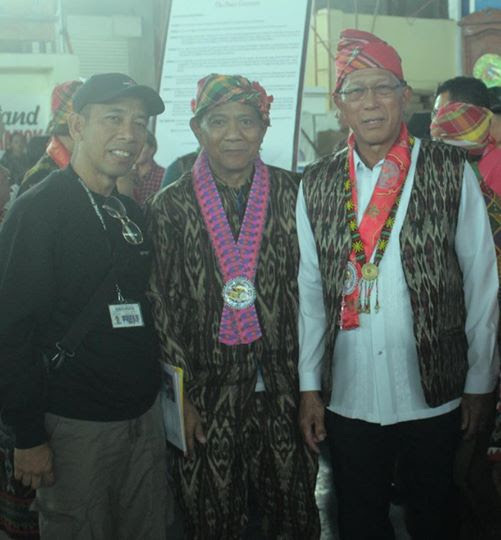 Lorenzana graced the peace summit attended by some 3,000 tribal leaders, barangay and local officials from T'boli and Lake Sebu town held over the weekend in T'boli town, which is predominantly inhabited by T'boli and B'laan tribesmen.